If I Go to an Online School, am I Eligible for Financial Aid? Financial aid for online learning includes access for students to the same national and state programs open to traditional college applicants provided that schools hold appropriate accreditation. For example, to qualify for federal student aid, schools must be accredited by regional associations overseen by the Higher Learning Commission or by other similar accrediting organizations specific to private or religious schools. The same criteria applies to many state-run financial aid programs. In addition to federal and state assistance, online schools also offer financial aid through college-level grants, scholarships or work study programs. Finally, online students can pursue eligibility for local financial assistance through private or non-profit organizations. -scholarships or loan repayment programs through the Indian Health Service, Department of Health and Human Services, National Health Service Corps, or National Institutes of Health. In a similar way, all states, colleges and communities offer various scholarships, awards, work study jobs, grants or loans to assist students with educational costs. Programs can be based on academic achievement, sociocultural or economic status, degree emphasis, or work ethic. Scholarships and grants are especially useful since these do not have to be repaid. While many state-based programs may require residential status to qualify, this is usually not the case for college-based ones. 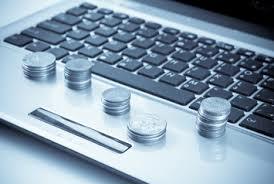 In fact, most schools offering distance education programs have specific financial aid options for online learners. The National Association of Student Financial Aid Administrators provides more information about financial aid available by state. -maintaining academic achievement once accepted to retain financial aid benefits. Numerous financial aid opportunities abound for aspiring college students considering all types of college experiences. To find out more about eligibility status and funding opportunities, applicants considering financial aid for online learning should research their options or contact program advisers.